Well a year has gone by…time for us to get Knot Anchored! If you had told us a year ago of all the things we would accomplish, all the things we would learn but most importantly all the people we would meet we would have said ‘yeah sure’. But we did all of that. It’s been that wonderful. The people we’ve met have enriched our lives in ways we never knew possible. We learned something new from each group. For this we are #grateful! Knot Anchored has taken us through storms and we’ve come out the other end feeling confident in the ability of this boat to perform in some not so favorable conditions. We’ve gone all through the Bahamas, seen Turks and Caicos and Dominican Republic and settled in nicely in the USVI / BVI area. We are a part of a community that not only supports each other but lifts each other up. It took a while to wrap our heads around it but wow how refreshing. Off we go down South(er) to see St Lucia, St Vincent, The Grenadines, Martinique, Grenada, and one of our favorites – Trinidad. All the islands in between, we’ll be hitting you too! Our first stop is St Lucia to spend some time with our kids. 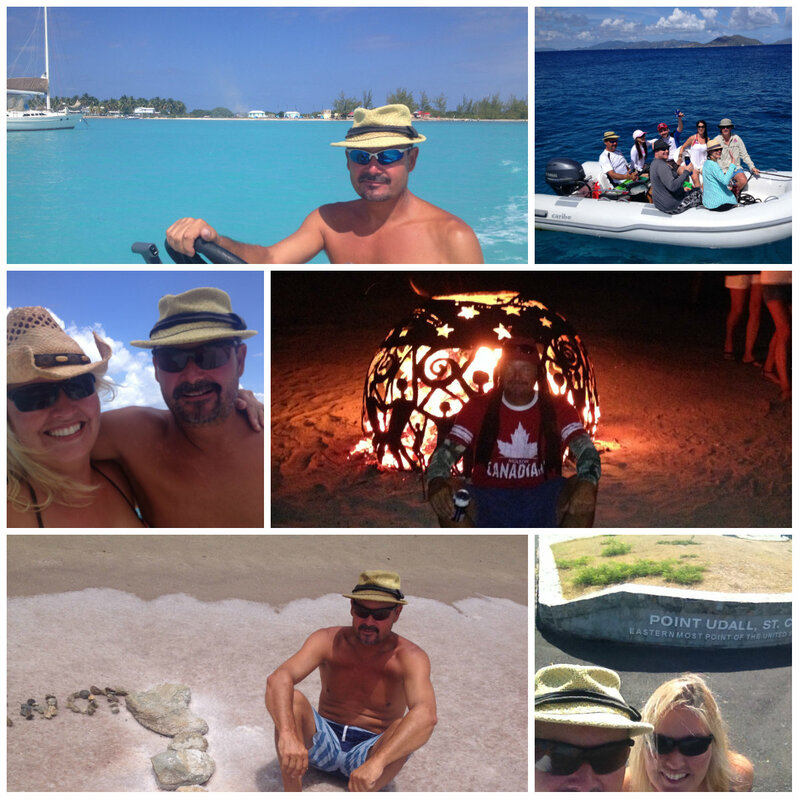 We’ve never been so it will, no doubt, be an adventure as were the Berry Islands, and BVI. It’s funny how quickly we ingrain ourselves into the fabric of a community. We went from not knowing anything to feeling at home. Something somewhat historical happened yesterday. Stevo donated his hat to the Ocean. We all know the hat. When he wasn’t wearing ‘the hat’ he was wearing the pirate gear lol! So as we head off (hatless) on our little adventure be patient as we will once again be at the mercy of others internet (not looking forward to that)! Back to BVI in October some time. Will keep posting as we go. Hats off to you guys. 🐘 SAFE ⭐️ sailing and enjoy the kids. Nope we have a rule here on Knot Anchored (many guests can attest to) we don’t go back for hats! Still I woulda liked a parting shot it just all happened sooo fast!